Click HERE to listen to an mp3 recording of the paper (right click to save). On 12 June we collaborated with the Pears Institute for the Study of Antisemitism to host Susan Suleiman (Harvard) discuss her latest work on Irène Némirovsky – a topic which clearly inspires seeing as we hit record-breaking attendance. 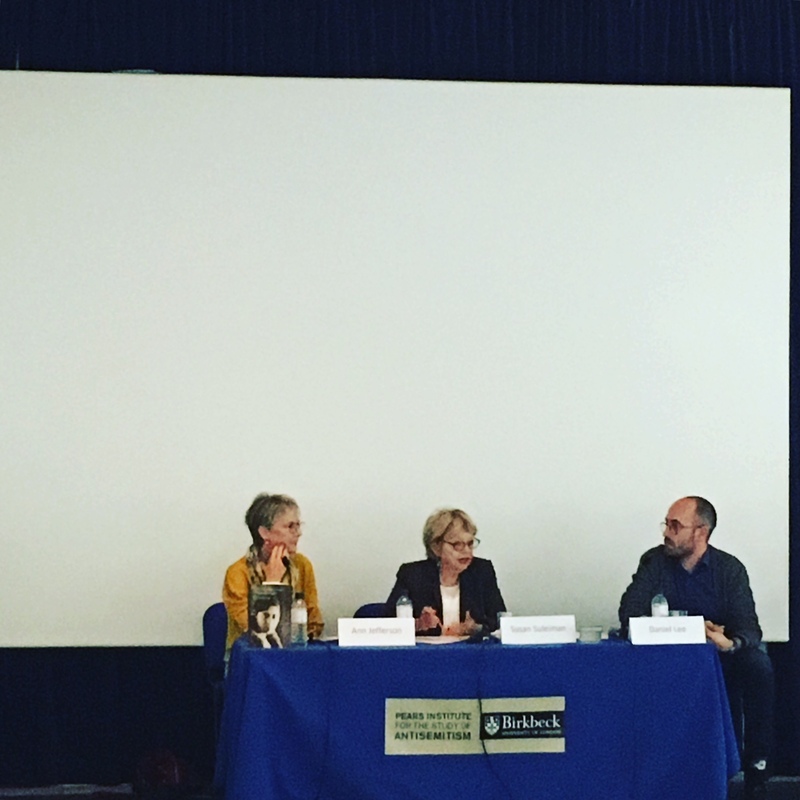 In conversation with Daniel Lee (Sheffield) and Ann Jefferson (Oxford), Suleiman explored the question of Jewish identity in Némirovsky’s life and work, from her reputation as a self-hating Jew, to her life under Vichy, and finally to her deportation to Auschwitz. Némirovsky was a Jewish writer of Russian origins who had moved to France in her teens and built, within a few years, an incredible literary reputation. Her commercial success during the interwar years, matched by familial bliss (apart from with her mother, but that is a separate story), saw her as one of the most prominent female writers of her time. The defeat and occupation would radically alter the direction of her life, however. In the first years under Vichy, Némirovsky was more prolific than ever, writing to keep her family afloat financially. Yet in mid-July 1942 she was arrested and deported to Auschwitz, leaving behind two daughters who survived the Holocaust. If her life was tragically cut short, her legacy is nonetheless considered controversial by many. Through her work and her life, Némirovsky’s relationship to Jewishness seems complicated. Jewish stereotypes appeared all over her works, not least her first great success, David Goulder, leading people to suspect a Jewish self-hatred. She published in some right-wing journals which would later become vehicles of antisemitism; in an attempt to avoid being affected by Vichy’s first antisemitic statute in 1940, she wrote a letter to Maréchal Pétain asking him to ‘distinguish between those who have contributed to France’, ie herself, ‘and the ‘undesirables’’’, ie foreign Jews. Yet Susan Suleiman warns us against drawing hasty conclusions of Némirovsky, not least of labelling her a ‘self-hating Jew’. In regards to her work, Suleiman argues, her books were more reflective than they were denunciatory. Moreover, when she wrote the letter to Pétain, what choices did she have, exactly? Ultimately, terms such as ‘undesirable’ need to be contextualised. Numerous Jews tried to make the most of the tiny loopholes of ‘exceptionalism’ which the first antisemitic statute offered, writing personal letters to Pétain to prove their exceptionalism. Indeed, by intertwining the historical circumstances of Vichy and the Holocaust we can begin to better understand her choices at the time. For instance, why did Némirovsky and her family never go into hiding? Why did they not leave? One of the most tragic things Suleiman witnessed in her research was precisely that ‘they really thought that if they followed the rules until the end, that everything would turn out OK.’ Intertwining literature and history, Suleiman thus reveals how choices in the early 1940s were not as straightforward as one imagines; hindsight and knowledge of the Holocaust skews our vision of everyday life in Occupied France, and our understanding of this Jewish writer. One can deplore her choices, Suleiman argued, but not judge them. ‘Némirovsky is not on trial’, she explained. 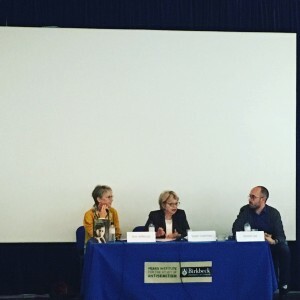 The discussion around Némirovsky invited us to reflect on the process of historical writing. By warning us not to be too quick to judge Némirovsky, and to understand the unique context of her personal life but also of France in the 1930s and 1940s, Suleiman was evoking the fundamental relationship between judgement and history. Yet in a fascinating twist, she also fully acknowledged the complexities – and even limits – of historical objectivity: if she had found out that Némirovsky had betrayed or denounced a Jew, as some did, she does not know if she could have written the book. It is a moral flaw she might not have been able to overcome. Moreover, Suleiman highlighted the multi-faceted nature of the archives, and their ability to give us mixed messages which we must then untangle, sometimes unable to reach a definitive conclusion. Némirovsky’s daughter recently explained that they never left France because Némirovsky did not want to leave: it would have meant another exile (the first being from Russia), another identity to build, whilst Némirovsky had worked her whole life to integrate the French literary elite. However, in Némirovsky’s archives there is an indication that she reached out to distant relatives in America to support her (and her family’s) departure. What actually happened, and what did Némirovsky want/try to do? 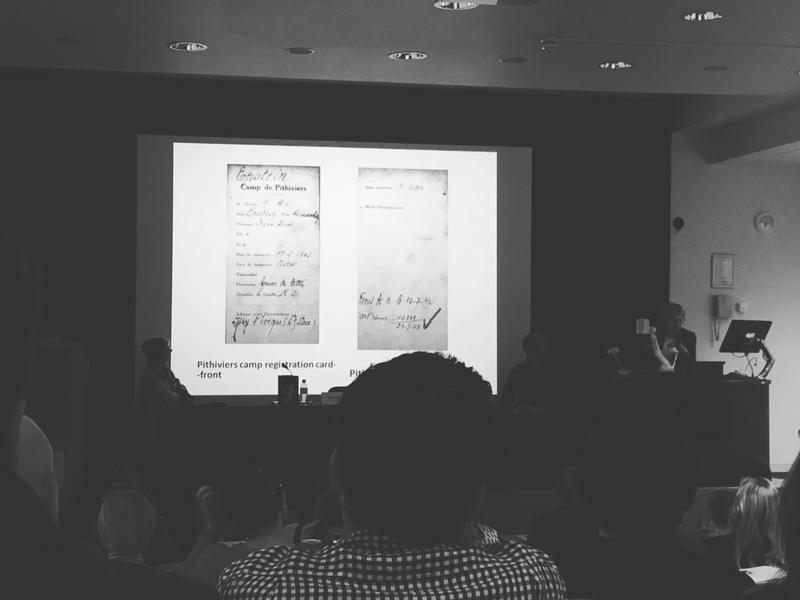 Rather than give a definitive conclusion on Némirovsky’s life and work, Suleiman advises us to approach the archives with humility, and in doing so she reminded us of the limits of archival research and historical writing. 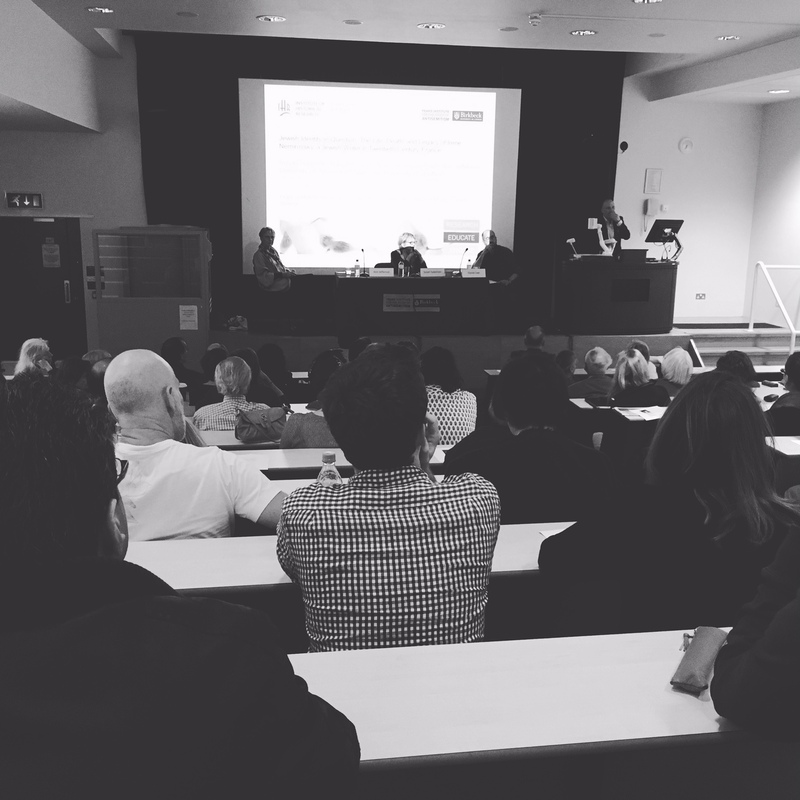 This mirrored her whole talk: whilst giving us an intimate portrayal of Némirovsky through her work and life, Suleiman brought the nuances and subtleties of this story to the forefront. You can catch it all on the recording linked above! I never knew all this..a very informative post indeed! !